Nellie Andreva at deadline.com reports that a limited series will be developed based on the late U.S. Navy SEAL Roy Boehm. Relativity Television and The Jay & Tony Show have teamed with Vega Baby Prods to develop and produce a limited series based on the book First Seal by Roy Boehm and Charles W. Sasser. 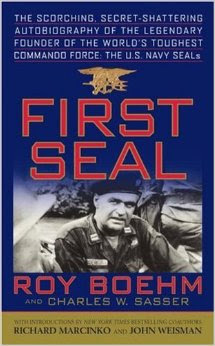 First Seal tells the life story of U.S. Navy SEALs founder Roy Boehm. A highly decorated combat veteran, Boehm spent a lifetime fighting clandestine operations throughout the world. Boehm was so aggressive and mission-oriented that, at one point, he had five court-martials pending against him. But considered the best of the best, then-President John F. Kennedy turned to Boehm to form, lead and train the the world’s toughest commando force, the U.S. Navy SEALs. Drawing on his expertise as a diver and member of the Navy’s Underwater Demolitions Teams, Boehm set out to invent a disciplined, dedicated, and ruthless force capable of attack from sea, air, and land. He died in 2008 at the age of 84.